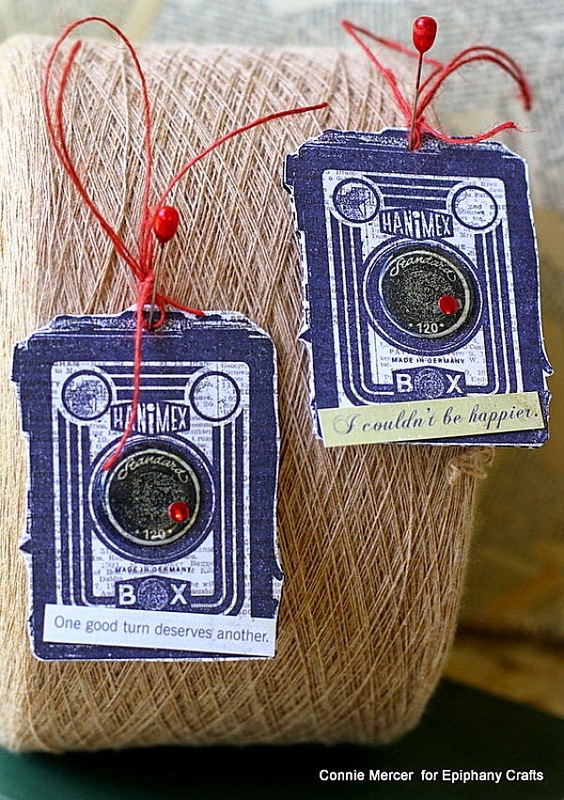 crafty goodies: Epiphany Crafts ~ Fun!!! I stamped the image on the fold of the paper, to make the card/tag. The image is by Darkroom Door and the lens is covered with the EC round 25 bubble cap. Perfect fit!!!! These were really fun to make. I ran the bottle caps through the Big Shot to flatten them out. The EC round 25 bubble cap fits perfect over label. I added magnets to the back, to make a cute gift set (except they are on my fridge). The Scrabble Tiles are covered with the EC square 25 bubble cap. 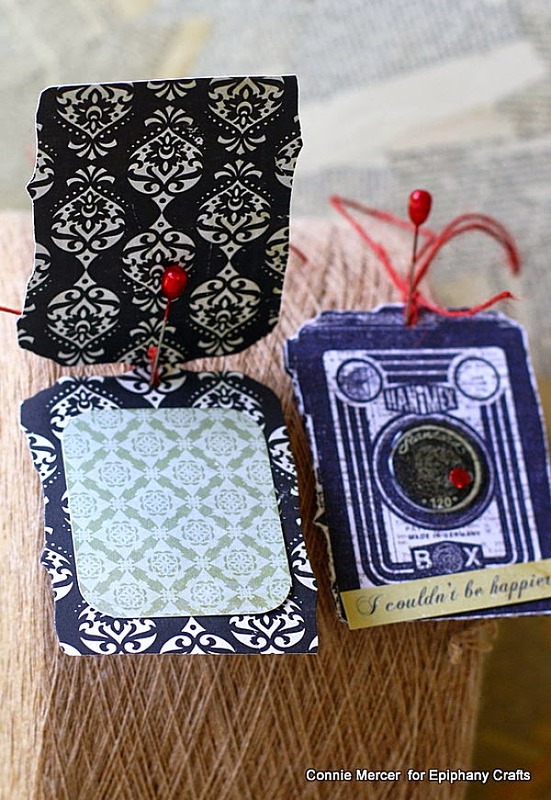 Cute, fun projects! Connie, Do you just lay in bed thinking up all these cool ideas???? Love this latest group!!!! So creative. 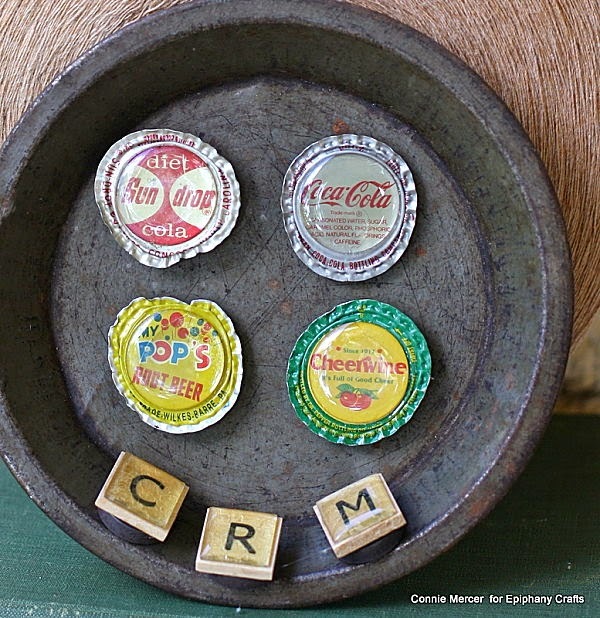 I love the bottle cap magnets. I need to put together a few sets of these for Christmas presents. Great job on the using the EC. What great little tags - I'm soooo stealing that. Fun stuff chickie! Ohhhhhhh these are just awesome!!!!!! In fact, I just asked my son (who is a bartender) to save me some fun bottle caps so that I can make these for MY fridge. Thanks for the inspiration, Connie!